I talk to people all the time about what I do for a living. I tell them I am a Generosity Coach with GENERIS and they usually do not know what that means. As I begin to tell them that my goal is to cultivate radical generosity in churches they immediately think I am only talking about money. I do talk about money a lot with churches and I do spend a great deal of time working with them on strategies to teach their people what the Bible has to say about money (which is a LOT). I do talk with them a lot about how to be good stewards with the money and be generous in their giving of it. This is an awesome part of our ministry because the releasing of dollars can make a huge impact on the Kingdom. That is exciting! However, I am interested in the holistic approach to generosity in our churches. The school teacher in me is still alive and well and I rely on my experience from teaching in college and high school to help me guide leaders through the transformational process of cultivating generosity in their church. We start with the heart. If people have generous hearts they will be generous with everything they have. God has given us EVERYTHING and wants us to be good stewards with the talents and resources He has given us and to then be generous with them. Our talents and resources include money, spiritual gifts, time, words, and actions. That is everything we have and God wants us to be generous with everything. 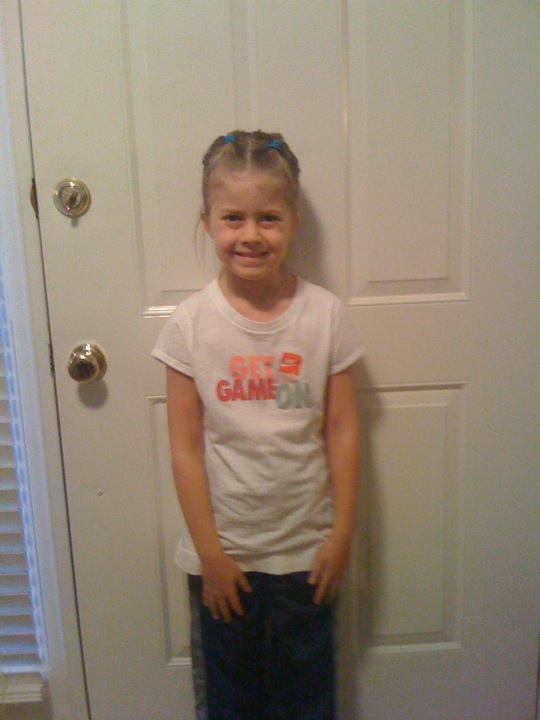 Anabelle before her first basketball practice. We arrived at the gym first and she began shooting. As the first child arrived I had Anabelle come over and allow me to introduce her. They each said “hi”, did a knuckle bump, and went on their way. I did this with the third child as well, but had him meet Anabelle and the other little guy. This time when Anabelle came over to meet him she had a ball for him and offered it to him. It was precious to hear him say “Thank you.” and her “You’re welcome. Come on, let’s shoot!” She did this six more times as each child arrived. I could hardly look at her because I knew my eyes would tear up. I was SO proud of her my heart almost exploded! What a wonderfully welcoming gesture for each of these kids! I heard several parents commenting behind me about how sweet it was for Anabelle to bring their child a ball. Oh my heart swelled! Did I mention I, nor anyone else, asked her to do this? Anabelle has the gift of hospitality. I’m not sure I knew that until Monday night. I know that God smiled down on her as she made each of the players feel so welcome. In fact I think I felt God smiling that night. Are you radically generous with the gifts and talents God has given you? I hope so. I am trying to learn from everywhere I can as to how to be more generous; even a 6 year old little girl named Anabelle. I love my daughter. I love basketball.